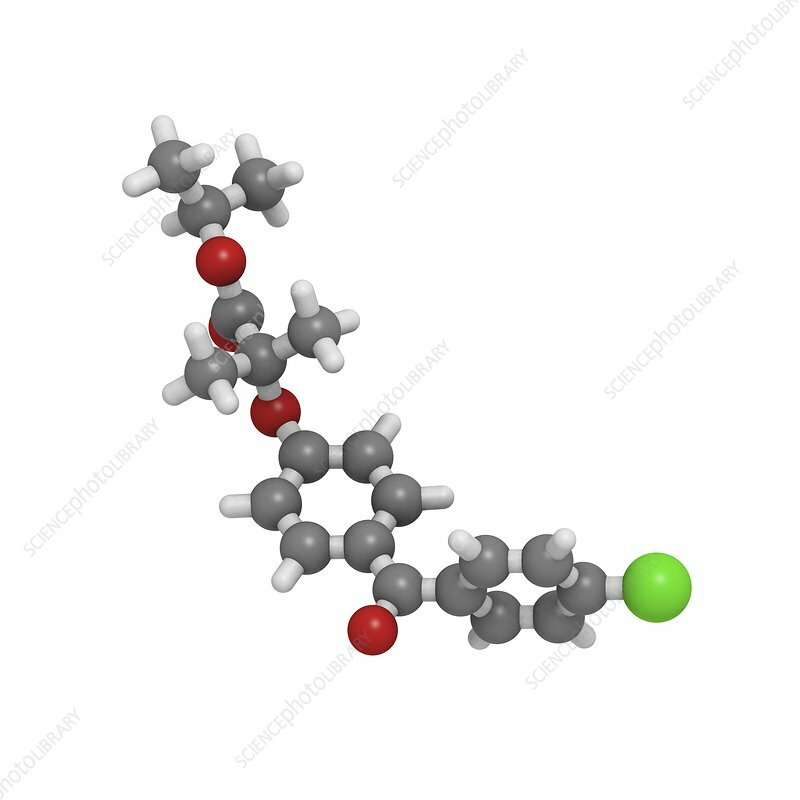 Fenofibrate cholesterol drug molecule. This drug reduces levels of low-density lipoprotein (LDL, bad cholesterol) and increases the levels of high-density lipoprotein (HDL, good cholesterol). Atoms are represented as spheres and are colour-coded: hydrogen (white), carbon (grey), oxygen (red) and chlorine (green).